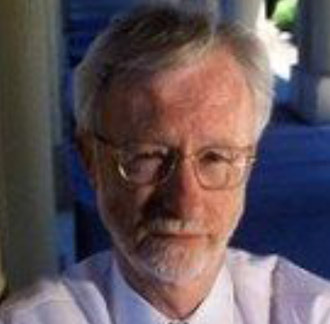 Charles A. O’Reilly III is the Frank E. Buck Professor of Management at the Graduate School of Business at Stanford. He began his education in 1965 at the University of El Paso Texas where he received his BS in Chemistry. In 1971 he received his MBA in Information Systems, from the University of California, Berkeley where he also received his PhD in Organizational Behavior in 1975. He began his teaching career as an assistant professor at the University of California, Los Angeles, from 1976-80. He later became a professor at the University of California, Berkeley from 1980-92. In 1993 he joined Stanford University where he has been since, and has received many awards, including the MBA Distinguished Teaching Award in 2002. He was also the Henry Ford Carroll Professor at the Harvard Business School in 1999-2000. Professor O’Reilly’s research interests are studies of leadership, organizational culture and demography, the management of human resources, and the impact of change and innovation on firms. Winning through Innovation: a Practical Guide to Leading Organizational Change and Renewal with Mike Tushman (Harvard Business School Press, 2002) and Hidden Value: Getting Extraordinary Results with Ordinary People with Jeff Pfeffer (Harvard Business School Press, 2000). This book shows how successful firms are able to win the war for talent – and why their competitors find it so difficult to replicate their success. He has authored more than 100 papers and is writing his next book, with Mike Tushman, Ambidextrous Organizations: Resolving the Innovator’s Dilemma which explores how managers can design organizations that can generate streams of innovation and deal with disruptive technological change. Professor O’Reilly has consulted for a variety of public and private firms in the U.S., Europe, Africa, and Asia. He also has developed, directed, and taught in executive programs for senior managers in innovation, technology, leadership, change, and human resources.